For a long time, I have been wondering about making the Tree House officially a non-profit social enterprise business. We are a limited company, mainly because that was the easiest thing to do when I first set up the business. But after five years, I feel I have invested so much of myself in the whole venture that I am struggling with the idea of giving up overall control – that says a lot about me, I know! It is still a longer-term possibility, but for now I don’t feel ready to change the status. The principle remains though: we operate as a non-profit. Any profit we make is ploughed back into the business and given to charity when we can – though we don’t technically make any profit, as I don’t yet earn a wage from running the place, and profit would begin after staff wages were considered. We are, however, getting there, and the phenomenal support of the local community continues in humbling ways: a long-time supporter has just set up a very generous monthly standing order, which will help us to put in place some ideas that should generate more income in the longer term. More on that in due course! One initiative I am going to start from September is a more formal way of giving to charity, and making our non-profit aspirations more transparent. We will be supporting two charities each month – one national, one local – by a variety of means. Since we started our Tree House Sessions four years ago, we have charged an entry fee – intially £2, now £3, which includes a £2 book voucher and tea or coffee. 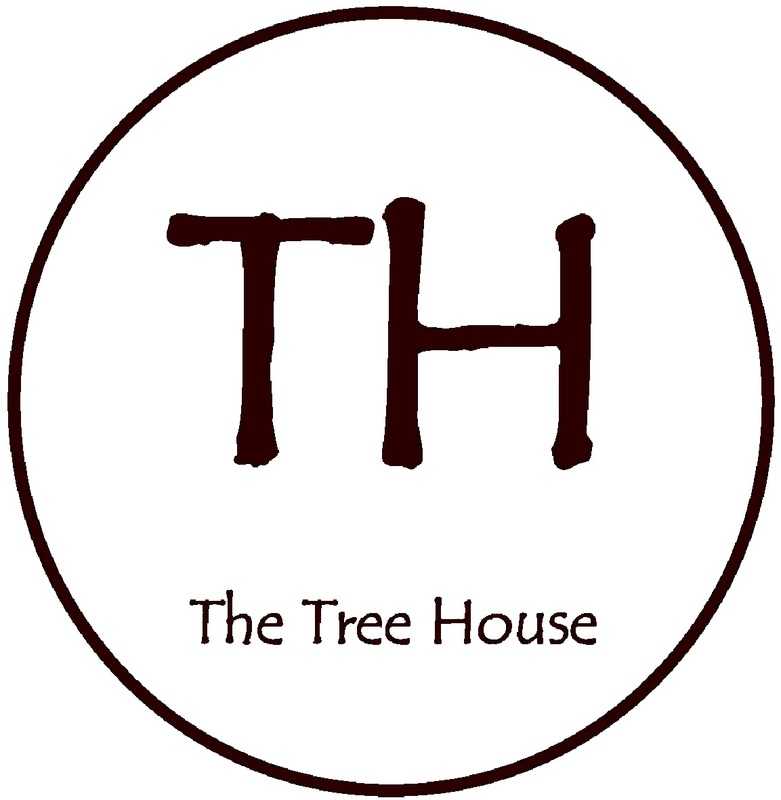 From the next THS, on 1 September, we won’t have a charge; we will ask £1 for tea/coffee, and we will raffle a £10 Tree House book voucher each time. Our book clubs and Nifty Needles will also be donation-based, and half of the donations going to the charities. There will be other one-off events at times – coffee mornings, raffles, book promotions, etc. September’s two charities have really been decided for us. We are joining in with the Macmillan World’s Biggest Coffee Morning, as we always do, this year on Friday 28 September, so Macmillan will be one of our charities; and Warwickshire and Northamptonshire Air Ambulance have a charity week earlier in September, so they will be our local charity. So – do come and have a cup of coffee – bring your reusable cup if you want to take it away – and leave a donation. We’ll be using good coffee, you can drink while you browse, and the aroma should be fab! I hope we will be able to be both more regular and more generous in our charitable giving, and people will see more clearly that their donated books are creating a place that has all sorts of benefits. Day 5: what is it all for? I am a bit behind with posting my daily musings, and don’t want to overload, so will try to catch up at intervals over the next couple of days. Here is what I wrote on 5 November. This is all a bit random, but I am just going with the thoughts that come to me on different days. Having tackled the question of how I thought up the idea of the Tree House, I should tackle the next most frequently asked question – what is it for? This usually means where do the proceeds go, a reasonable question from those donating books – though many also think or assume it is a charity shop. Some even express open surprise when they walk in about the narrow selection of stock – ‘Oh…they only have books!’ – and then they leave. But it is a question that deserves an answer – what is the Tree House for? It’s all a bit of a moot point, in a financial sense – we say we are non-profit and we give our profits to charity, but the truth is (as I often admit) that we are yet to make any profit. We do have some collecting boxes at the bookshop, and I put small change in there, as do customers – and we did help to fund the William Morris garden at Compton Verney designed by Dan Pearson. But we have yet to make regular donations. The William Morris garden was something I felt I wanted to support, as it combines the arts with nature. 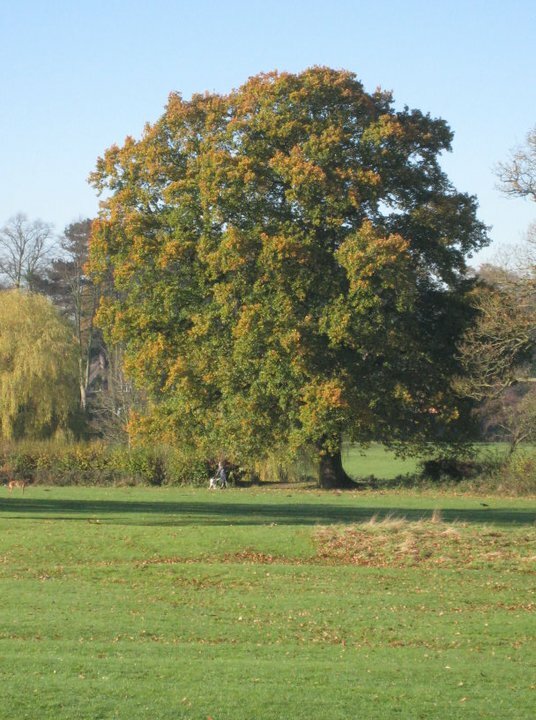 Overall, my aim is to support charities that make it their aim to protect the natural world, and trees in particular. The Woodland Trust springs immediately to mind, but a customer has encouraged me to support the Sylva Foundation too, so I am looking forward to the day when we can start donating something. Beyond that, I would like to support local charities and fundraising events, depending on individual campaigns and needs. There is also a wonderful national charity called Nordoff Robbins, which provides music therapy to individuals, both adults and children, affected by serious conditions or illness. I was introduced to this charity by the wonderful Michael Burdett, who has twice come to the Tree House – once to the old premises, recently to the new – to give his fabulous talk on a lost Nick Drake recording that he has in his possession. One things we are working on is changing the status of the bookshop to a social enterprise, or community interest company, which will bring certain financial benefits, and in turn speed up our ability to make some profit and support these charities. But the Tree House is not just ‘for’ some external causes. It is essentially a community venture, and it is ‘for’ the community in more ways than financial ones. It is, as I’ve said before, a means of drawing people together through literature and the arts, and through providing a physical space in the town where people can meet – at events or during the day. One elderly lady said how wonderful it was that there was somewhere that she could just sit down for a few minutes when she was out. She comes in from time to time and we have lovely chats. There is now a great group of people who know each other through the Tree House and would call each other friends. My own circle of friends has grown enormously! I moved back to Kenilworth in 2009 after 27 years away, and hardly got to know anyone until started the bookshop, other than my work colleagues and my next door neighbour, having left some great friends behind in Bristol, so it’s been a great way for me to make contact with all sorts of people. I love it when one friend comes in and we have a cup of tea and a chat, then someone else joins us, sometimes one or two more – people drop in and spontaneous conversations develop, arrangements are made for further activities, people help each other and work together in support of the Tree House. These friendships wouldn’t exist without the bookshop – and the bookshop wouldn’t survive without them! So what is the Tree House for? It aims to support various charitable causes, but it is also and more importantly to enhance, create, sustain, enrich a sense of community. It’s also to sell second-hand books, which I happen to think are important – making available things that might otherwise be thrown out or stuck in attics or be lost in the mists of time. I love second-hand bookshops because you find all sorts of things, sometimes while you are looking for something else. Literature on the high street – it’s fabulous. We have customers of all ages, from tiny babies to the elderly lady I mentioned above (who is in her 90s), and all types, looking for all sorts of different things. I mentioned in a previous day’s jottings that I want ultimately to specialise, but I realise something will be lost, which is part of the reason for dragging my heels on that! We really need a bigger shop…a floor of general books, a floor of more specialist subjects… One day, though it doesn’t look as though we are going to make our fortune any time soon. That’s OK, as we are not in the business of making fortunes! We do need to make it more obvious what we are for – a window graphic or something on the fascia board or something public-facing that tells people why we are there. The fantastic generosity of people in giving financial donations at crucial times and donations of books on a virtually daily basis happens because we are ‘for’ something, but there is inevitably some confusion too. We had a wonderful poster in the old shop, but I had to ditch that as we put our running costs on it, and those have changed, and I haven’t got round to making a new one (someone else made the old one!). Hopefully it will become increasingly apparent as to what the Tree House is for, by word of mouth and by experience, but I will work to make that more obvious. We do have some small posters in the window setting out the basics, alongside our boards of photographs of famous writers, but it’s all a bit busy and we need something clearer. But in a way – does something have to be ‘for’ something? We just are, and what we are has changed and continues to change organically through the involvement of different people, and no doubt will continue to develop in its own way. Save Farm Terrace allotments – community projects unite! Today I want to use this blog to share something about another community story – the Save Farm Terrace campaign, set up to save some allotments in Watford. Nowhere near where I live, and nothing to do with books, but it touches on something that will be a central part of The Tree House, and shows both the importance and the fragility of community, non-profit ventures. You can read Pete and Wendy’s story on the original blog, with photos and of course all the other pages on that blog, but I’ll also post the whole of the story here. PLOT 25 PETE AND WENDY’S STORY……. Wendy and I are life time residents of West Watford. A job opportunity was presented to me as I was approaching retirement. It meant I could walk or cycle to work. Then I discovered the allotments. I was hooked straight away, the nearest available, Farm Terrace, was only 170 meters down the road from work. Venne Vidi Vichy! We took our pick and we started working plot 25, an over grown meadow. In a short time number 26 became available and Wendy decided to enquire. Within a week she was also a tenant of Farm Terrace. It didn’t stop there. Clare, our eldest daughter who was always down there helping, decided to have one of her own, enquiring about plot 7. Opposite plots 25 & 26 and on the top terrace it was a tougher project, more brambles but we all pulled together and made great roads into taming the land. Pioneers or what? The freshness and taste of the produce we produced was excellent. The bird life, flora and fauna where amazing. We have not seen any rabbits down there since about 2001. We don’t see as many voles as those first years. Watching the family of foxes emerging from their earth beneath my daughters shed, playing and gambling like new born lambs was a magical experience. The birds that inhabited the trees and bushes behind the rough ground of plots 5 to 10 were beautiful. Seeing my first ever grass snake just two or three years ago, in a pond, I made, on my plot, well it doesn’t get much better. The value for money of these plots was wonderful and the view from the upper terraces, towards the south and west is superb. When you open the gates to Farm Terrace, your heart lifts and so does the temperature. We have lost count of the number of times we have described it as Heaven on Earth. The first year was really hard physical work but bringing this ‘meadow’ back to cultivated life was so rewarding and satisfying. The produce is usually very plentiful and if WBC could open their eyes and see what they have here they could produce fine healthy food for many of their citizens, or the hospital. We go there for peace, solitude, fresh air, to get away from the TV, a change of scenery from the back garden, which although beautiful and well maintained is small. We are opposites; Wendy has a liking for privacy, whilst I’m a bit more gregarious and like a chat. So we have made a few friends and acquaintances over the years. Being terraced, unless you go ‘walkabout’ you don’t see plot holders from the lower levels. We are always ready to pass the time of day with anyone who wanted a chat. Then things really changed. Watford Health Campus Partnership wanted to pinch some allotment land. After many meetings, there was a ‘gun’ holding us ransom to the emotional blackmail that the land was really needed to kick start the whole exercise for a new hospital. We would be the villains of the peace. It directly affected people on the top terrace, including my daughter on plot 7. Fortunately all plot holders were united in fighting to keep the allotments safe. But that wonderful triangle of trees, bushes, rose’s home to those beautiful birds, was lost to the development partnership. In went the retaining wall; up went the block of flats; for essential workers at the hospital. We wonder how many tenants there are filling that role. The peace, tranquillity and privacy gone. From not being overlooked, we now play to a full house. WE ALL REMEMBER THOSE FAMOUS WORDS – WE Won’t BE BACK FOR MORE! Well, here we are, they want the lot. If you work a plot, you know, it’s not just, blood, sweat, tears that go into the sod; it’s your heart and soul. We all have our lives to live. We all have differing agendas to work through. We would always pass the time of day and really enjoy that. What Mayor Thornhill has done, by approaching us in that manner in 2012 is to band a team of acquaintances into what can only be described as well honed, community based, fighting unit. United in our cause to KEEP FARM TERRACE ALLOTMENTS OPEN for the next 106 years. That anyone would want to destroy a site like this is beyond belief. It’s a lovely and moving account, but also shows the need to stand up for community spaces and things that enrich people’s lives in ways that don’t generate income and don’t fulfil government plans and figures. My little second-hand bookshop aims to do something similar; but I also believe wholeheartedly in the need for allotments and in the profoundly enriching experience of growing things, let alone providing your own food, and in the way such communal spaces do bring people together. Do consider supporting Farm Terrace – read their blog, follow them on Twitter, raise awareness. People have shown how collective anger can force a company like Starbucks to review its attitude to taxation; when we get together the communal voice and actions are powerful.